The new song of Kartik Aaryan and Kriti Sanon starrer Luka Chuppi titled Photo is out. The romantic track is perfect for Valentine’s Day. This is the revamped version of Karan Sehmbi’s Punjabi hit which has been re-composed by Tanishk Bagchi. Both the stars share wonderful chemistry and show us how it feels to be in love. From late night calls to exchanging flirtatious glances, the track will surely make you miss the love of your life. This is for the first time Kartik and Kriti have worked together but it is quite evident that they share a great bond. The first two songs of the movie, Poster Lagwa Do and Coca-Cola were also the recreated versions. The trailer received positive response from the cinema lovers. The story of Luka Chuppi revolves around a couple who decides to get into a live-in relationship before getting married and later, their family gets involved. 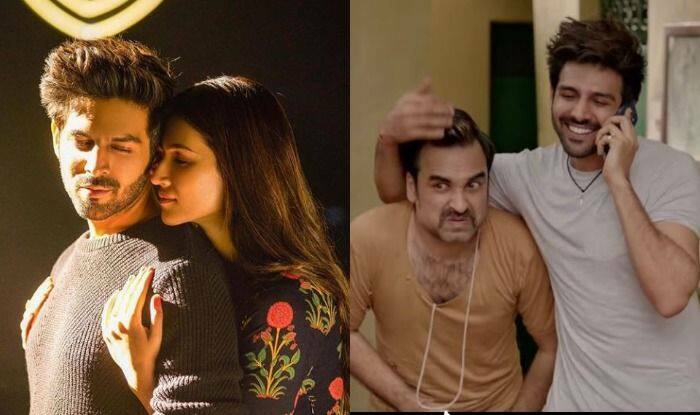 Apart from Kriti and Kartik, the film also features Pankaj Tripathi, Aparshakti Khurrana and Vinay Pathak in crucial roles. The project is helmed by Laxman Utekar. The movie is slated to release on March 1 and will fight the box office battle with Sushant Singh Rajput and Bhumi Pednekar’s Sonchiraiya. On a related note, Kartik will next be seen in Pati Patni Aur Woh with Bhumi Pednekar and Ananya Panday. The movie is directed by Mudassar Aziz. It is the remake of a hit Bollywood film with the same title. His last release Sonu Ke Titu Ki Sweety entered the coveted Rs 100 crore club. On the other hand, Kriti also has some good projects in her kitty. She will be seen in Panipat, Housefull 4 and Arjun Patiala.